We have new marble arrivals and our warehouse is filling up quick! After just over a year here in Melbourne’s South East, we are about half way to full capacity of beautiful large format natural stone slabs. We love getting new shipments and arranging the new slabs in our gallery. Our most recent shipments have been of white marbles that are absolutely gorgeous. There’s nothing like seeing it in the flesh, so get in touch to make an appointment. In the meantime, here are some slab photos for you to enjoy. 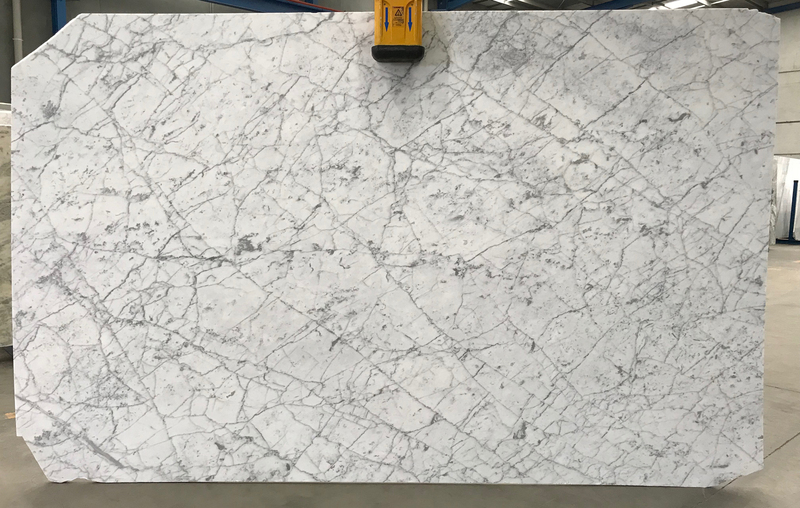 A premium grade white marble from the famous Carrara region in Italy. 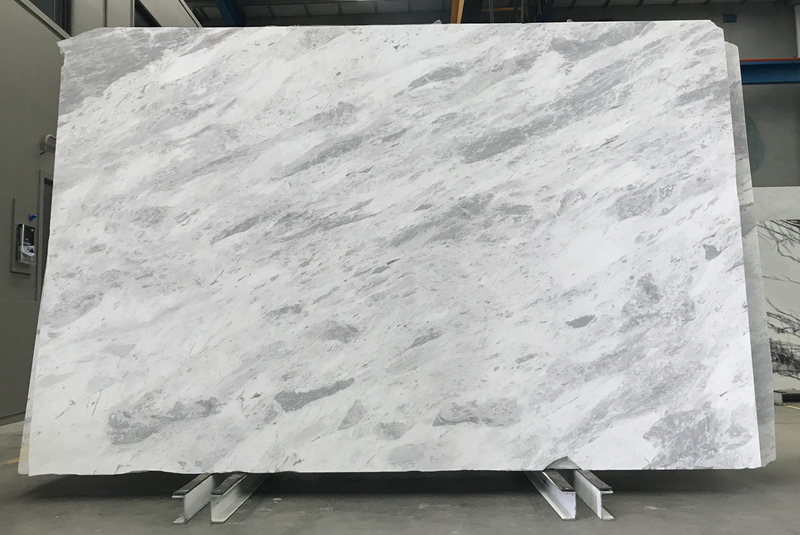 Venatino is a very popular white and grey marble from Carrara. 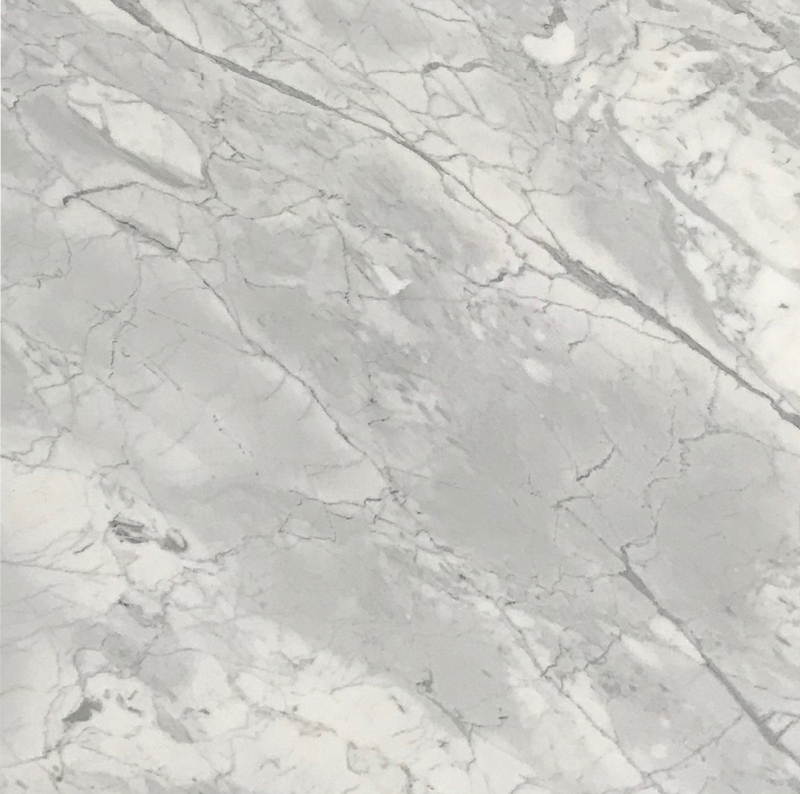 It is a super affordable Carrara marble, so is commonly used for domestic and commercial applications. 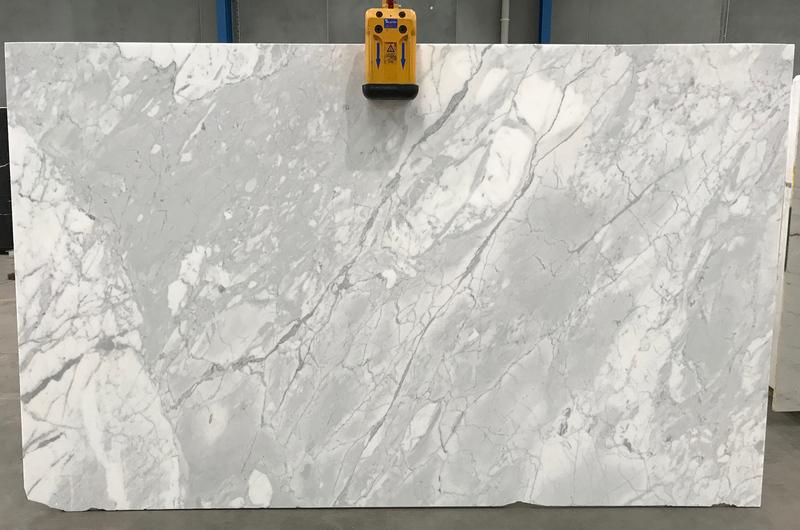 Elba marble is a white and bluey-grey Greek marble, very popular in the Melbourne market. We have beautiful, clean, large slabs, 3 metres by 2 metres! For more information on these, or any other of our stones just get in touch. – The team at Victoria Stone Gallery.